Jay & I Events / Mandaps at Hilton London Wembley with Ragasaan Catering & Asian Wedding Photographer. 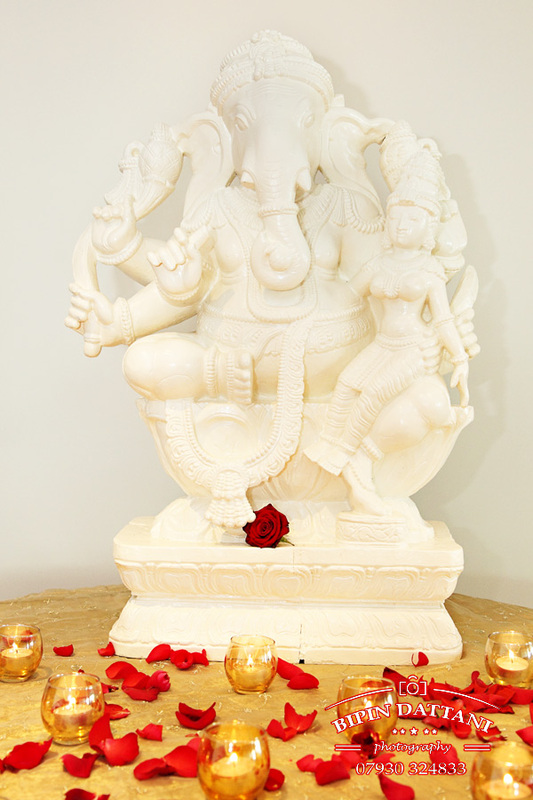 Four premier London wedding suppliers came together under one roof for this Hindu Asian Marriage Ceremony. Jay & I Events are one of the elite wedding décor & mandaps companies in London. Their attention to detail is immaculate, so when I found out the bride had book this company and Jaybhai and his team were creating the stage decorations I knew it would look stunning and be a pleasure to photograph. I always make sure I arrive early and capture the décor. Most brides choose the mandap they want to get married under, but almost never get a chance to see it at it’s finest when set up. This is when it is empty and looks it its grandest. The bride will usually see it when she makes her entrance by which time the mandap will be occupied by the groom, the indian priest, her parents and the closest family members from both sides. 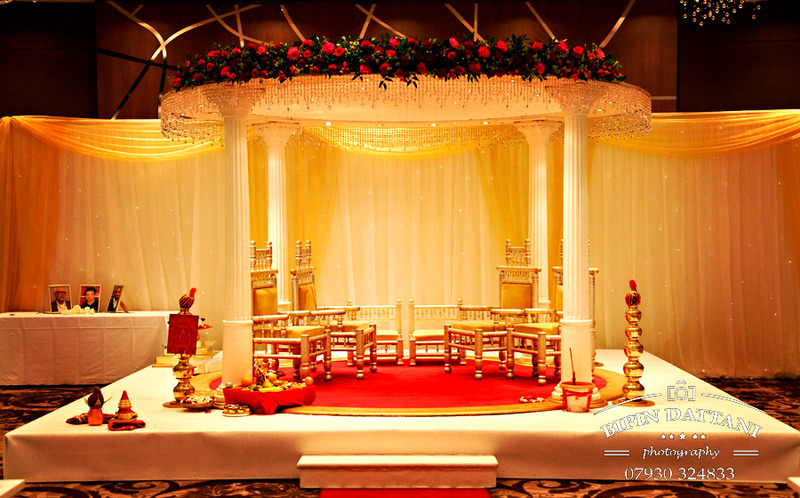 Below are a handful of images of the foyer set-up and Hilton Wembley wedding hall décor and the J & I mandap sitting proudly in the centre.